Is Google Adwords Testing Click to SMS, a New Ad Extension? Search Engine Land, just recently, received an anonymous tip from one of their readers that Google Adwords may be testing a new ad extension called Click-to-SMS (CTS). Late last year, Google Adwords discontinued Social extensions. If you are not yet familiar with ad extensions, read about a previous article on ad extensions for text ads. If this is true, then this click to SMS ad extension would go well with their existing call extensions. Call extensions allow advertisers to add a call button to their ads and target people with mobile devices that are capable of making calls. 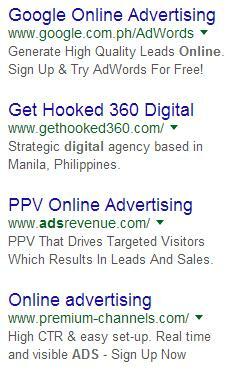 A sample Google Adwords text ad with a call extension can be seen below. According to the announcements in the Google Partners Help pages, Social extensions are no longer shown with Ads if you are using it in your search advertising campaigns. This started last December 10, 2015. Social extensions are one of the twelve types of extensions that can be used to enhance your ads for your search advertising campaigns. They fall under automatic extensions, meaning, ads that appear on Google search and the Search network show them when the Adwords system can link the ads to your active and verified Google+ page. These extensions show how many Google+ followers and +1s that your company or website has if the Adwords system determines doing this would improve the performance of your ad campaign. Whether you are new to using Google Adwords or have been using this advertising program, that can help you reach new customers and grow your business, for a long time, knowing and being reminded about the basics is essential if you want to succeed in your advertising campaigns. 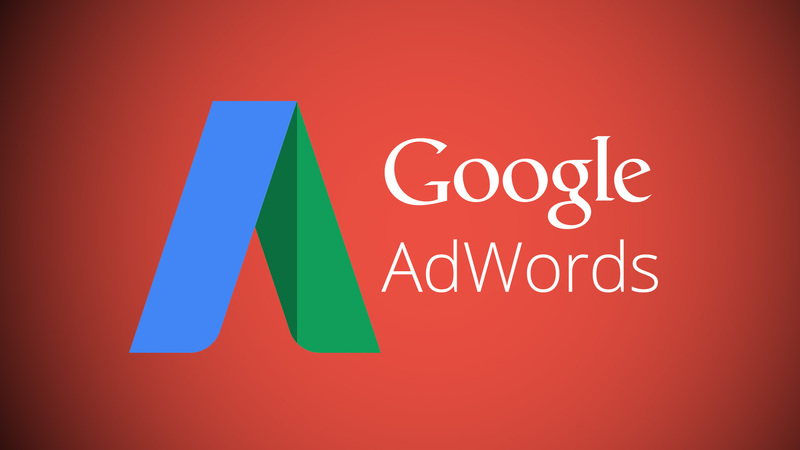 The simplest form of online ads is the text ad, which is just one of the few ad formats in Adwords. When you see a text ad above, beside or below search results when searching on Google, you will see text ads. It may look so simple but when creating one, it helps to know and understand its parts. There are three basic parts of a text ad. Similar to an article in a newspaper, the headline is what people looking at search engine results will most likely take notice of. That’s why it’s important to have your target keyword in this part of the text ad to match what the searchers are looking for. This can also show the ad’s relevance to what people want to find. This shows the address of your website. It is not necessarily the complete URL of the target landing page, but it could contain at least the domain name. So don’t fret that your ad copy might look ugly because you are using URL tracking parameters (to help you track your campaign) which can be created through the URL builder tool. Since the text ad headline has a shorter character length (see table below), this is where you can highlight and pitch what your website or company offers. Placing a call to action in this portion of the text ad helps the people who are searching know the next steps to take after viewing your ad and clicking it. The Google Adwords text ads have character limits for each part mentioned above. The character limits are divided into two types of languages – the regular languages and the double-width languages. The Google Adwords text ad, when seen on mobile, SOMETIMES does not show the description’s second line although generally, mobile text ads look like standard text ads that you would see on a desktop computer. It’s crucial to note this when creating a text ad and you are targeting mobile and not just desktop. Make sure that all you need to communicate is found in the first line of the description and it makes sense. By experience, when creating text ads for desktop, one would tend to write a description that would use two lines and it would be in such a way that the second line is dependent on the first line to make sense. See the example below. These are the ads that were triggered when I searched for “online advertising” and they appeared on the side of the search engine results. Notice the second ad from the top and its description lines. Description line 2: Manila, Philippines. Based in ? The description line does not make sense at all, so it would be best to make the 2 lines of description independent from each other when you are targeting mobile and desktop. When does the second line not show the description? 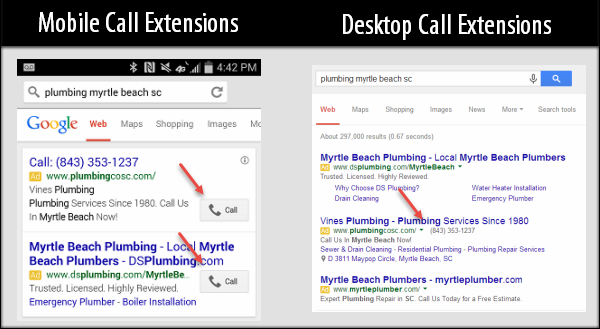 For mobile text ads, AdWords may sometimes replace your second line of description text with the most relevant ad extensions that you’ve enabled — like sitelink extensions, location extensions, or callout extensions. So you’ve heard of extensions. What are they anyway? Extensions are actually a type of ad format that show extra information (“extending” from your text ads) about your website or business. Ad extensions appear with ads on the Search network, and depending on the extension, they could also appear with ads on the Display network. But for the Search network, this is how site extensions look like. In the example above, the extensions are boxed in red. Those are actually site link extensions. There are actually twelve types of extensions and they are grouped into two. For more information of what each one is and what campaign type they are good for, you can visit the Google Partners’ page on how to enhance text ads with extensions. 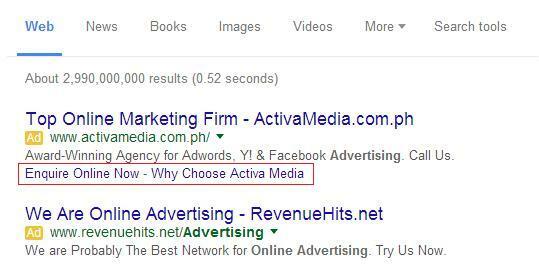 If you need guidance in setting up and optimizing your Google Adwords text ads, send an email at inquire@redlettersph.com. RedLettersPH provides consultation and PPC management services.